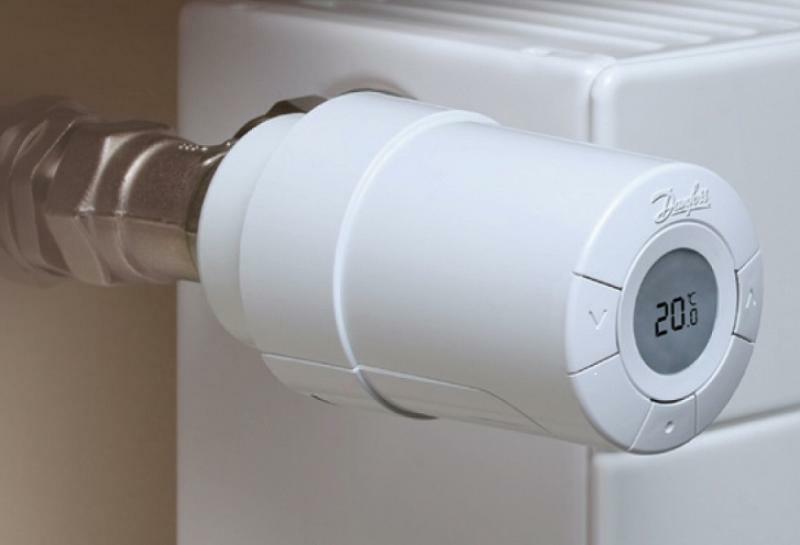 The LC-13 by Danfoss is a Z-Wave controlled electronic radiator thermostat. It is applied to be mounted on wall heating valves and controls them by a motor. The device accepts a set point that is either set manually using local buttons on the device or wirelessly using Z-Wave. 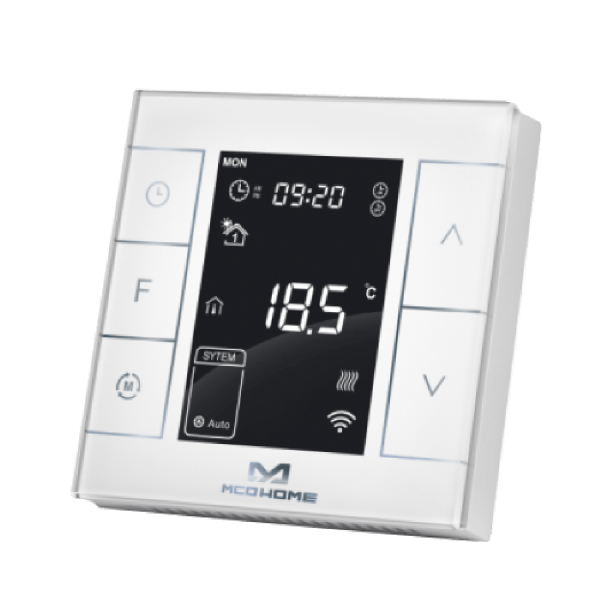 Beside setting a desired temperature the device will support special heating schemes, such as energy saving and frost protection. A small LCD display on the device shows the target temperature on request. The device owns further intelligent functions such as detection of open windows or a valve training function to ensure that valves are still operational after longer periods. 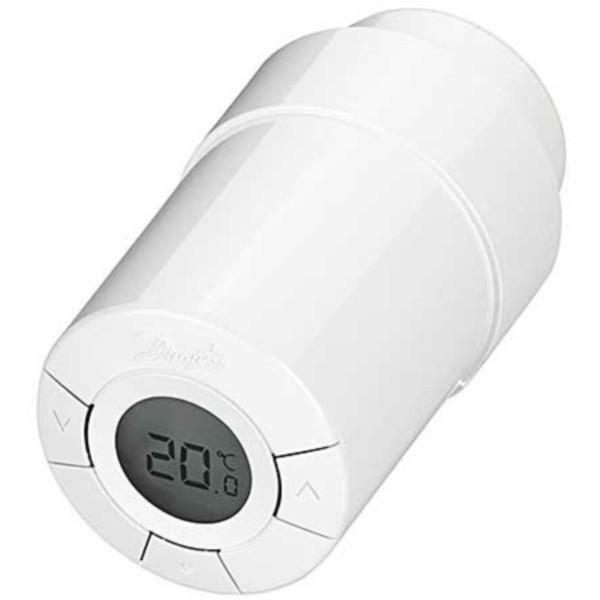 The Danfoss LC-13 thermostat can be mounted with few movements to valves with standard M30x1.5 connector or RA2000 (Danfoss snap in). The device expects a regular radio connection to the IP gateway for status message exchange. For valves with standard M30x1.5 connector (30x1,5) or RA2000 (Danfoss snap in). valve/pump etc. , while MH7-EH-EU for electrical heating system. The device is of high reliability and practicability. And can be included and operated in any Z-Wave network with other Z-Wave certified devices from any other manufacturers. 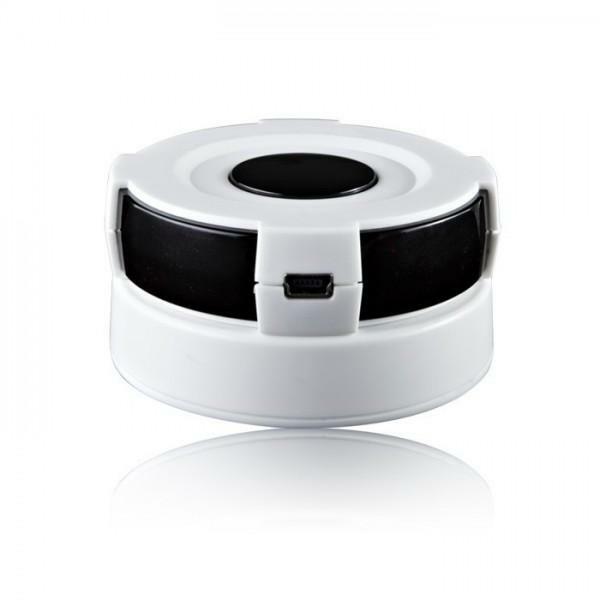 External room sensor, glass front NTC 10 k? Product information "TKB Thermostat for Floor heating"
The TKBETZ1036 is a heating thermostat with LCD screen and built-in Z-Wave technology. The thermostat is designed to fit into your flush box and control your electric heating or on/off actuator valves used in hydronic heating. 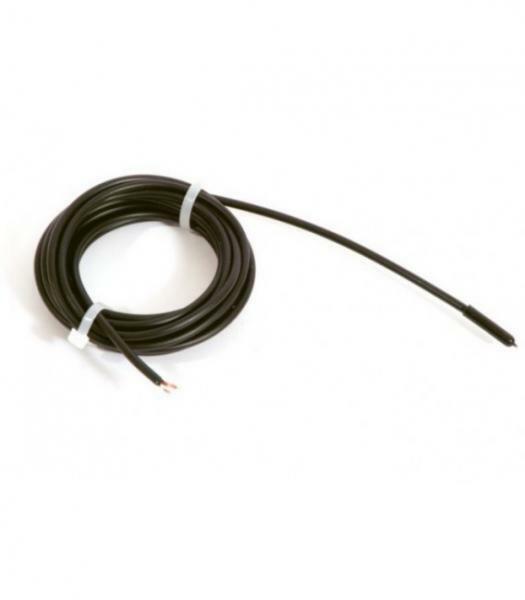 The thermostat is mains powered and has an internal temperature sensor built in and an external sensor included in the scope of delivery. To use both sensors you have to connect the external sensor to the thermostat. Then the thermostat allows to switch between the 2 different sensors. 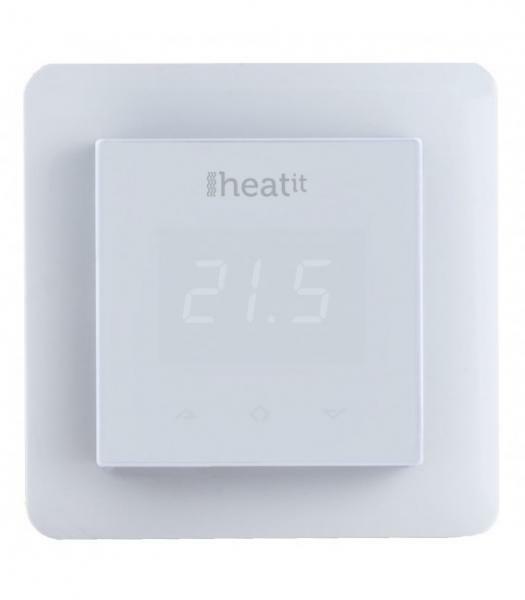 The display shows the value of the chosen temperature sensor and allows adjusting the temperature of the connected heating system. The temperature can be adjusted in steps of 1° C.